November 21, 2018 2:20 pm. Japanese gun Almond Eye is the even money favourite to win the Japan Cup. The top action returns to Tokyo Racecourse on Sunday, Nov. 25, with the 38th running of the Japan Cup, the last Japan Cup of the Heisei Era. The international icon was begun nearly four decades ago to help raise the level of Japan’s horsemen and horses and it has helped accomplish that for the home team, which has fielded the winner for this race the last 12 straight years. 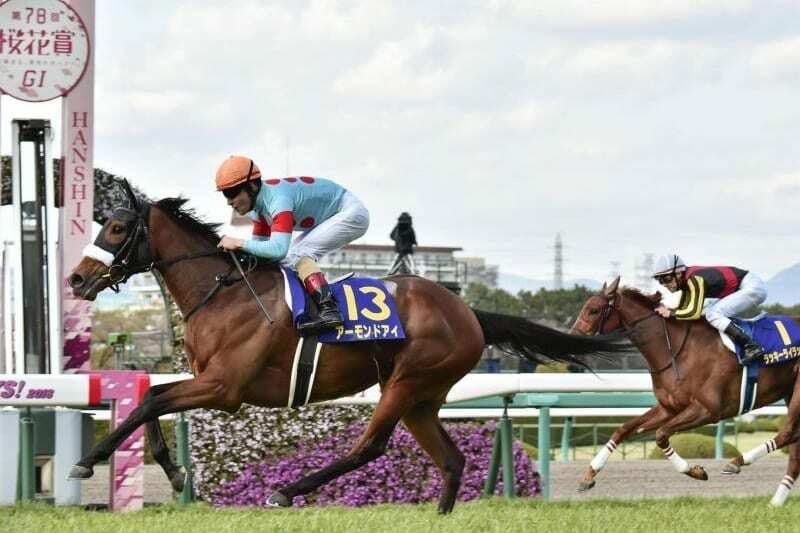 Fifteen horses, including only two raiders from abroad and one from local-government-sponsored NAR racing, will take on the 2,400-meter turf event at Tokyo Racecourse. The foreign hopefuls are both grays, the Aidan O’Brien-trained Irish-bred Capri, a 4-year-old Galileo colt who captured the Irish Derby and the St. Leger last year and ran fifth in the Prix de l’Arc Triomphe this year, and the American-bred Thundering Blue, a 5-year-old gelding by Exchange Rate trained by the England-based David Menuisier and coming off a second in the Oct. 13 Grade 1 Canadian International Stakes at Woodbine. The 2018 home team, as usual, boasts many of Japan’s best equine athletes, including this year’s filly triple crown champion and expected race favorite Almond Eye. Seven other Grade 1 winners have been nominated – among them, last year’s Japan Cup winner Cheval Grand, Osaka Hai champ Suave Richard, Kikuka Sho (Japanese St. Leger) victor Kiseki, Kikuka Sho and Arima Kinen (Grand Prix) winner Satono Diamond and Hong Kong Vase and Takarazuka Kinen winner Satono Crown. The 2,400-meter turf course at Tokyo is one of Japan’s toughest and winning the Japan Cup is a formidable achievement, both on the turf and at the betting windows. In the past 20 runnings, the favorite has only won six times, but figured out of the top three only three times. Double-digit longshots have only made the top three spots four times over the same period. The Japan Cup is Race 11 and the final race on the Sunday card at Tokyo Racecourse. Post time is 15:40 local time. Almond Eye: Sprint champion Lord Kanaloa has been missed, but his daughter Almond Eye has made her own name and extended her winning streak to five with victory in the Shuka Sho on Oct. 14. Her conquest of this year’s filly triple crown – the Oka Sho (Japanese 1000 Guineas), Yushun Himba (Japanese Oaks), and Shuka Sho – and over ¥490 million earned in 2018 alone, have put her name at the top already. If she wins on Sunday, she’ll rewrite Gentildonna’s record from 2012 and become the top-earning 3-year-old filly of all time and only the second 3-year-old filly to win the Japan Cup. As Gentildonna did, Almond Eye goes into the Japan Cup having never competed against older male horses. From the accolades jockey Christophe Lemaire has bestowed on Almond Eye, who only has missed the winner’s circle once in her six career starts, chances are good the older boys will be facing a tough challenge. Almond Eye took on the Shuka Sho after five months off, with her weight up 14kg from the Japanese Oaks and at her highest yet, but she delivered the goods from the rear of the pack with a burst of speed up the outside to win by a length and a half. And, although the filly triple crown races had her racing under 55kg, this time out she will enjoy the lightest assigned weight of the field – 53kg. Lemaire, who has been partnered with Almond Eye for all but one of her outings, and who leads the other jockeys by a mile and then some for wins this year, is slated to be in the saddle Sunday. Satono Diamond: The Deep Impact-sired 5-year-old Satono Diamond may well present the biggest threat to Almond Eye. Satono Diamond ran third behind Dee Majesty and Makahiki in the Satsuki Sho amid typhoon-like winds, then missed the Japanese Derby by only a nose despite losing a shoe. The winds of fortune then turned his way, enabling him to pick up the Kikuka Sho and the Arima Kinen in 2016. He has failed to post a win since then, however, and will be taking on the Japan Cup for the first time. His first three starts of this year saw him make the money only once, with a third in the Grade 2 Kinko Sho at Chukyo, followed by a seventh and a sixth in his two Grade 1 bids, the Osaka Hai and the Takarazuka Kinen, respectively. Returning after the summer, Satono Diamond finally looked back on his game as he aced the Kyoto Daishoten (G2, 2,400 meters) on Oct. 8, topping Cheval Grand by over three lengths. The Ritto-based Yasutoshi Ikee is gunning for his first win of the Japan Cup having thus far sent nine horses to the Japan Cup gate for a tally of two seconds and two thirds. A strong point is that Joao Moreira is expected to be the pilot. Fresh off a win of the Queen Elizabeth II at Kyoto and a jaunt to Sha Tin last week that saw him pick up another big win, “Magic Man” returns to Tokyo, where he landed second in the Tenno Sho on Oct. 28. The Ikee-Moreira score from 12 rides thus far is five wins and three seconds. Suave Richard: In his last start, the Tenno Sho (Autumn), Suave Richard went to the gate as the favorite but luck was not on his side as Makahiki lunged directly into him just after the doors opened. Being hit by half a ton surely factored in Suave Richard’s 10th-place finish a full 1.5 seconds off the winner, as did getting hit coming into the stretch. Still, his less-than-sharp responses in the stretch may have had more to do with not having raced in 4 1/2 months. In any case, improvement is virtually certain for this Grade 1 champion, a Heart’s Cry-sired 4-year-old that has only missed the top three spots three times in 12 outings. Though primarily raced over 10 furlongs, Suave Richard’s second in the Japanese Derby over the Tokyo 2,400 last year, followed by a win that autumn of the 2,500-meter Copa Republica Argentina at the same venue shows he can stay the course. His win of the Grade 2 Kinko Sho this March, the Grade 1 Osaka Hai the following month and a close third in the Grade 1 Yasuda Kinen in June show he’s still up there with the best. Mirco Demuro is set for the ride. Cheval Grand: Last year’s Japan Cup winner is back and looking to become only the second horse in the race’s history after Gentildonna in 2013 to mark back-to-back wins. Thus far, the pattern going in to the race is much as it was last year. Last year, the now 6-year-old son of Heart’s Cry had a second in the Tenno Sho (Spring) and an eighth in the Takarazuka Kinen before he took on the Kyoto Daishoten after four months off, posted a third and then, as fifth choice, won the Japan Cup, topping the more popular Rey de Oro, Kitasan Black and Makahiki. This year, he started out with a double-digit finish in the Osaka Hai before a second in the Tenno Sho (Spring), then returned after six months off for a fourth in the Kyoto Daishoten while carrying the top weight of 58kg. Last year’s first Grade 1 win for Cheval Grand was under Hugh Bowman, whose plans to return this year were dashed by a suspension incurred at Melbourne. New partner Cristian Demuro is set to ride. Kiseki: Kiseki, winner of the 2017 Kikuka Sho, had never missed the board in his seven starts leading up to that race, his first Grade 1 bid. He did miss it in his next three starts – a ninth in the Hong Kong Vase at yearend, and this year a ninth and an eighth in the Grade 2 Nikkei Sho and Grade 1 Takarazuka Kinen, respectively. After taking the summer off, the Rulership-sired dark bay returned looking refreshed, but with a 10kg weight gain. His new on-the-pace strategy netted him two thirds, first in the Oct. 7 Mainichi Okan and then, with an 8kg weight loss, in the Tenno Sho (Autumn) on Oct. 28. He led for most of the Tenno Sho, but was overtaken a dozen strides out. This time, Kiseki will have 2 furlongs more to cover, but his weight should have stabilized and with it, his stamina should have improved. It will be interesting to see how Yuga Kawada, rider for Kiseki’s last two starts and slated for the Japan Cup ride, chooses to make his run for the money. Foreign raider Capri is also well worth consideration in this year’s field, as he will be running under 2.5 kg less than he did in the Arc on Oct. 7. Ryan Moore, who rode him for his fourth in the Champion Stakes last out at Ascot, is expected to be in the saddle.